Professor Virginia Murray was appointed as Consultant in Global Disaster Risk Reduction for Public Health England in April 2014. 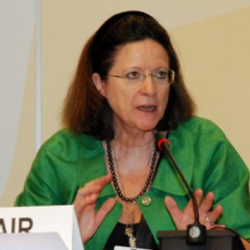 This appointment is to take forward her work as vice-chair of the UN International Strategy for Disaster Reduction (ISDR) Scientific and Technical Advisory Group and as the Chair of the Science & Technology Organising Committee for the UNISDR Science and Technology Conference on the implementation of the Sendai Framework for Disaster Risk Reduction 2015-2030. Prior to this she was appointed as Head of Extreme Events and Health Protection, Public Health England in January 2011. With the Extreme Events team, she helped to develop evidence base information and advice on flooding, heat, cold, volcanic ash, and other extreme weather and natural hazards events. Appointed as Honorary Professor University College London, Visiting Professor in Health Protection, MRC-PHE Centre for Environment and Health, Imperial College and King’s College, London, and has been Visiting Professor to the Universita del Piemonte Orientale (UPO), Italy and Visiting Professor, Vrije Universiteit Brussel (VUB), Belgium, she has published widely. 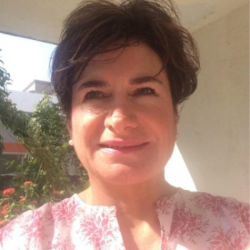 Speaking alongside a handful of selected keynote speakers on Saturday morning, Virginia will be contributing towards the discussion on ‘The Forecast for Forgotten Global Health’ in addition to running a seminar on the central tenets of disaster risk reduction on Saturday afternoon. Anne is a senior health advisor who currently acts as the head of the Ebola Regional Response and the Evaluation Support Group within the Department for International Development. Anne has been amongst many roles in the department for International Development since 2004. Anne has also institutional experience in working for international NGOs, the direct service provision and in the private sector. Anne has over 20 years of involvement in human development; servicing those in the area of sexual reproductive health and nutrition. Her expertise on sexual health and nutrition has been acknowledged across the world. Anne will be speaking alongside a handful of selected keynote speakers on Saturday morning, contributing towards the discussion on ‘The Forecast for Forgotten Global Health’. Alan is the Founder and Director of the Schistosomiasis Control Initiative (SCI). He is also Professor of Tropical Parasitology at the School of Public Health, Imperial College London. A specialist in the research and control of Schistosomiasis, Professor Fenwick has been recognised for his achievements not only with an OBE, but also in other countries, notably Niger and Burkina Faso. For decades he lived and worked in Tanzania, Sudan and Egypt, before returning to the UK. SCI is a collaborative project to assist countries in sub Saharan Africa control Schistosomiasis, intestinal helminths and other Neglected Tropical Diseases (NTDs). It was awarded a prestigious Queens Anniversary Prize in 2008, and in 2013 it reached the milestone of having assisted in the delivery of 100 million treatments against Schistosomiasis in 16 countries within Africa and the Middle East. 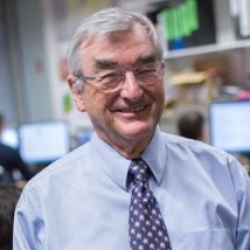 As a celebrated and well decorated figure within the global public health community, Professor Fenwick holds numerous honorary positions which include an Honorary Fellowship of the American Society Tropical Medicine and Hygiene, American Society Tropical Medicine and Hygiene awarded in 2012. Alan will be speaking alongside a handful of selected keynote speakers on Saturday morning, contributing towards the discussion on ‘The Forecast for Forgotten Global Health’ in addition to running a seminar on Saturday afternoon entitled, ‘Reaching the Bottom Billion in the Post-2015 era. 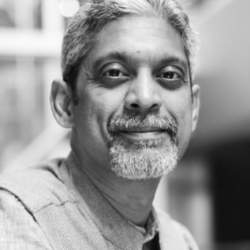 TIME magazine named Professor Vikram Patel among the 2015 TIME 100, its annual list of the 100 most influential people in the world. Vikram is a psychiatrist and Professor of International Mental Health at the London School of Hygiene & Tropical Medicine. A soon to be member of faculty at Harvard University, he is the co-founder of Sangath, a community based NGO head-quartered in Go…a, India which won the MacArthur Foundation’s International Prize for Creative and Effective Institutions in 2008. He is the joint leader of the Mental Health Innovation Network, a Senior Research Fellow at the Wellcome Trust and is the Honorary Director of the Public Health Foundation of India’s Centre for Chronic Conditions and Injuries. He serves on a number of committees including the WHO’s Expert Advisory Group for Mental Health and the Technical Steering Committee of the Department of Child & Adolescent Health, the World Economic Forum Global Agenda Council on Brain and Cognitive Sciences and the Institute Body of NIMHANS, India. He was a member of a group constituted by the Ministry of Health (Government of India) tasked with writing India’s first mental health policy and designing the National Mental Health Program for the period of 2012-17. He was awarded the Institute of Medicine’s Sarnat Medal for Mental Health in 2014. Professor Patel’s work looks at the impact of mental illness in developing countries, and he hopes to find ways to improve access to treatments in low-resource settings. His keynote speech at this year’s conference entitled ‘The Black Dog: Why We Don’t Care’ focuses on depression and mental illness in low-resource settings and the role of community and health workers in meeting mental health needs. 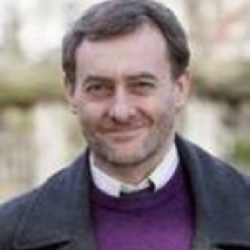 Andy Haines was Director of the London School of Hygiene & Tropical Medicine (LSHTM) for nearly 10 years until October 2010 and continues to work at LSHTM as Professor of Public Health and Primary Care. He was previously a Professor of Primary Health Care and Director of the Department of Primary Care and Population Sciences at UCL and formerly Director of Research & Development at the National Health Service (NHS) Executive, North Thames. He has also worked internationally, including in Nepal, Jamaica and the USA. He was knighted for services to medicine in 2005. 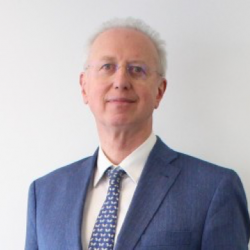 He has been Chair of the UK Medical Research Council Global Health Group and a member of the MRC Strategy Board and of many other national and international committees. He is a trustee of UK Biobank, the Medical Research Foundation and of the Royal Society of Medicine. 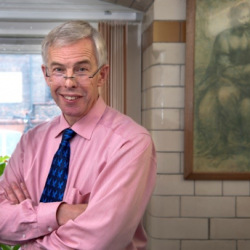 Sir Andy Haines is Professor of Public Health and Primary Care at the London School of Hygiene & Tropical Medicine. He was a member of the UN Intergovernmental Panel on Climate Change and chaired the Scientific Advisory Panel for the 2013 WHO World Health Report on Research for Universal Health Coverage. In 2015 he chaired The Rockefeller Foundation-Lancet Commission on Planetary Health which called for immediate, global action to protect the health of human civilisation and the natural systems on which it depends. 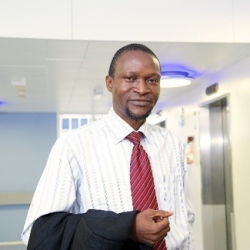 Dr Victor Joseph is a Co-Chair of Public Health Africa, a Special Interest Group of the Faculty of Public Health of the Royal College of Physicians of the United Kingdom; and a member of the Global Health Committee. Victor is a Fellow of the Faculty and an accredited Educational Supervisor. He has spent than 20 years working in public health, including at Consultant level both in the NHS and local Government. In 2016, he was part of UK Public Health Team at the 2nd African Federation of Public Health Association Conference in Nigeria to understand the public health challenges facing the continent. He is working in collaboration with relevant partners in the continent in helping to address the challenge of public health workforce. He was the founding chair of Africa-UK Telemedicine Working Group. 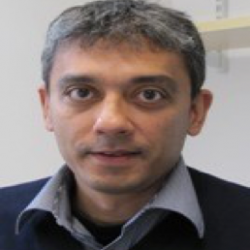 His research interest includes implementation of new technologies in health services, an area where he did his PhD at the University of Leeds, School of Medicine. 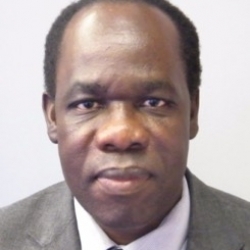 Dr Joseph will be rounding off this year’s conference on Sunday evening with his talk entitled ‘Public Health Africa Initiative – Driving Development Through Health Systems Strengthening’. Sophia Wilkinson is presently the Senior Health Advisor at BBC Media Action. 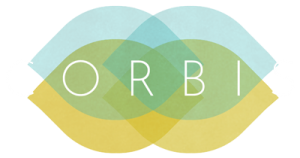 Her area of expertise lies within health communication, media and behaviour change. 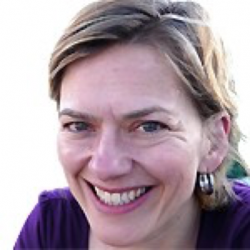 Sophia has over twenty years of experience working in international development and UK settings. She supports project teams across Asia and Africa to develop and implement multi-media health communication projects. Previous to her role at the BBC Media Action, Sophia worked for the UK HIV and sexual health charity Terrence Higgins Trust. Michael is a biologist with subsequent degrees in Technology and Innovation Management (M. Sc. with Distinction), and Science and Technology Policy (D.Phil). He has more than 15 years experience researching the sociotechnical challenges associated with biomedical innovation. 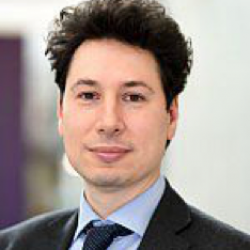 Michael is currently Director of Research at SPRU, and for the School of Business, Management and Economics and has led a series of international research projects studying different aspects of the innovation ecosystems that support medical innovation. 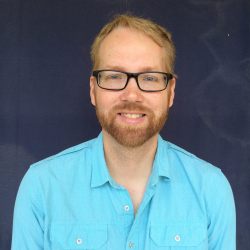 Ben O’Neil is the programme manager of a UK Aid funded maternal and child health and access to clean water and sanitation programme for Samaritan’s Purse in Liberia. After earning his MPH in 2012, he worked as a clinical and public health researcher in Florida. In 2013, he worked in public health management with Samaritan’s Purse in Karamoja, Uganda. Until moving to Liberia last year, Ben was the chronic disease epidemiologist for a rural county in California. 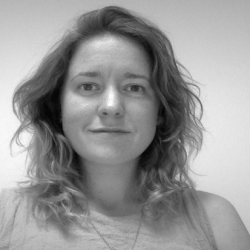 Elizabeth Atherton is the current project manager of Sustainable Diets and Health at Medact, which involves her establishing inter-connected projects with the aims of promoting healthy, sustainable and ethical food systems. 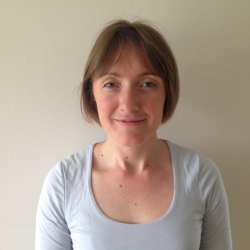 Elizabeth has worked as a clinical dietitian in the NHS. Elizabeth graduated from the University of Surrey BSc in Nutrition & Dietetics and has also completed an MSc in Public Health at the London School of Hygiene and Tropical Medicine. 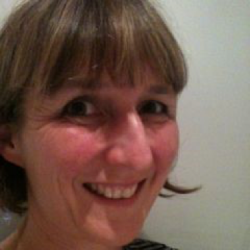 Dr Katie Cuming is a consultant in Public Health Medicine in Brighton and Hove City Council. Her area of focus within Brighton and Hove is on health improvement centred around food and healthy weight. 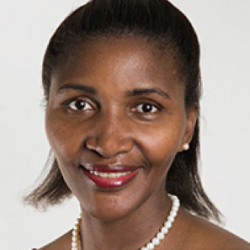 She has also worked within international development capacities and with the Institute for Development Studies. She has been one of the main proponents behind ‘Brighton Sugar Smart’ a community initiative to improve attitudes towards sugary foods among the Brighton population. Simon Capewell is currently a professor in the Department of Public Health and Policy at the University of Liverpool, and is one of the founding members of Action on Sugar. Simon trained in clinical medicine at universities of Newcastle, Cardiff and Oxford but switched to public health during his MSc course at the University of Edinburgh. 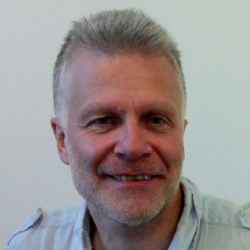 Simon is an international expert in health service provision, population and policy aspects of health and disability alongside the prevention of non-communicable diseases. Syed Abbas is currently working towards his PhD at IDS, University of Sussex under the supervision of Dr Hayley MacGregor. He is studying public policy responses to zoonotic diseases in India. He qualified as a doctor from Aligarh Muslim University and holds a public health Masters from Johns Hopkins University. 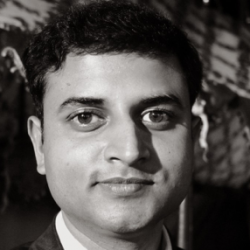 Abbas joined IDS after working for six years in Public Health Foundation of India on a range of research, policy advocacy and teaching activities related to infectious diseases and zoonoses. Robert Levin is a GP who has worked with MSF in various settings. During his medical school and family medicine training in the US, he developed an interest in global health and spent time overseas. After spending several years teaching family medicine in the States, he resigned his post to work with MSF. He later received his diploma in Tropical Medicine from the London School of Hygiene and Tropical Medicine. The last NGO he worked with was Partners in Health at their Rwanda site. Dr Peter Hughes is currently a consultant psychiatrist at Springfield University Hospital, London. Peter expresses an interest in international psychiatry and has completed important assignments with the World Health Organization in Africa concerning mental health interventions. Assignments have included a role in Sierra Leone in psychosocial responses to the Ebola epidemic of 2013-2016. His work has been mainly in primary care low resource settings in which he has provided an avenue for training mental health professionals. 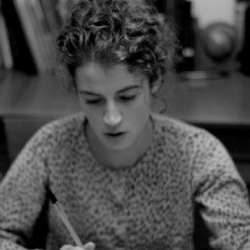 Dr Arianne Shahvisi is a lecturer in Ethics and Medical Humanities at Brighton and Sussex Medical School. She has completed her masters in astrophysics from the University of Cambridge, a masters in philosophy from the University of Oxford, and since returned to Cambridge to receive her doctorate in the philosophy of physics. Dr Shahvisi approaches health from an ethical perspective, with her more recent work concerning feminist bioethics, global health ethics and social determinants of health. 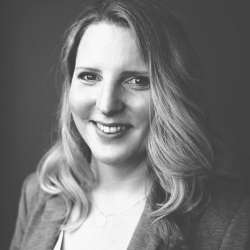 Rachel Mortimer is the founder and CEO of Engage & Create, a social enterprise dedicated to transforming quality of life for people with dementia and those that care for them. 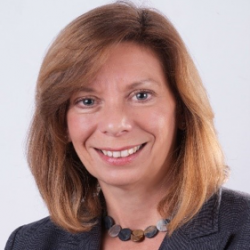 Rachel has been an expert witness for The National Institute of Clinical Excellence (NICE), an advisor to The National Police Missing Persons Unit, a speaker at TEDx Brighton, NHS OMNI Conference, Creative Dementia Arts Network, Financial Conduct Authority and Legal & General. Chris Zielinski is a visiting fellow at the University of Winchester and the Head of Partnership in Health Information programme. Chris has held senior positions in publishing and knowledge management with the World Health Organisation in Brazzaville, Geneva, Cairo and New Delhi. Chris has also managed the Gates Foundation-supported Health Information Resource Centres project in addition to serving on WHO’s Ethical Committee, and was the founder of the African Health Observatory. Martin is the Director of Health Poverty Action, an international NGO working to improve the health of the world’s poorest and most marginalised people. 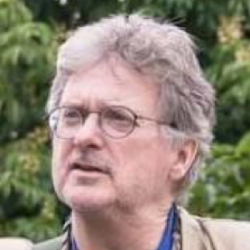 Previously, Martin was Head of Campaigns for Christian Aid for close to 10 years, playing a major role in Jubilee 2000, Drop the Debt and the Trade Justice Movement and was also a coordinator of Make Poverty History. Initially an award-winning grass-roots community development worker, Martin now has more than 20 years of experience in the development sector. Huw is a Professor of Microbial Ecology at the University of Brighton, where his area of research covers the analysis of water and wastewater treatment; waterborne disease control and pollution control technology. He is widely published, covering a range of sanitation issues, working in association with groups such as UNICEF. Huw was invited by the WHO to lead a panel of experts supporting the publications of guidance for water sanitation and hygiene provision in response to the West Africa Ebola outbreak. Marie-Christine Nibagwire is a survivor of the Rwandan genocide of 1994 where she lost many family members and loved ones. Since gaining British citizenship and overcoming her PTSD, she devoted herself to work with humanitarian organisationssuch as ICRC, UNHCR and she became a member of PHAP (Professionals of Humanitarian Assistance and Protection). She founded SafeRefugeRwanda, an organisation that mentors and counsels survivors of the genocide of Rwanda, and those of wars of Burundi and Congo who live in Europe and North America. Dr Ibrahim Bello is a Chief Consultant Family Physician and the Head of the Department of Family Medicine, OAU Teaching Hospital, Nigeria. A Fellow and an examiner at the National Postgraduate Medical College of Nigeria, he also oversees the training of postgraduate residents. He obtained his MPH from the University of Liverpool. As an astute researcher with interest in malaria eradication, he is a member of the steering committee of the Roll Back Malaria Partnerships and an international member of the RCGP. Maya studied medicine at Brighton and Sussex Medical School (BSMS) during which time was active in campaigning with the Stop Aids campaign, Friends of MSF and Medsin. She worked with the (then called) WHO department of Essential Medicines and Pharmaceutical Policies. She ran the national ‘Healthy Planet’ student campaign and was also on the executive board of the Climate and Health Council. Since completing her DTMH at the Liverpool School of Tropical Medicine, she has been employed by the Cochrane Infectious Diseases Group undertaking malaria research. 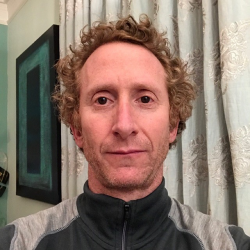 Nicholas is an anthropologist and geographer with research interests in nutrition, poverty and food security; and the relationship between knowledge, gender, class and capital in South Asia. He is currently leading work within the Transform Nutrition Research Programme Consortium to explore the political economy of nutrition policy in South Asia and Sub-Saharan Africa. This work focuses in particular on the role of leadership, visibility and accountability in creating a wider political ‘enabling environment’ to support action on undernutrition. With a background in medical sociology and psychology, Dr Baines area of expertise lies within social work and social policy. She is a specialist in global health, well-being and the psychosocial aspects of civilian and military trauma and pain management. 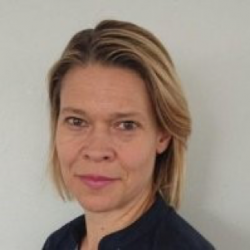 Dr Baines current research engagement is within psychosocial issues and other risks in solid organ transplants, oncology-pain management, digital health care, and patient engagement at Imperial Healthcare NHS trust, where she holds an honorary research fellowship. Michelle Gavin has been working for Friends Families and Travellers since January 2010. Michelle is of Irish Traveller heritage through marriage. 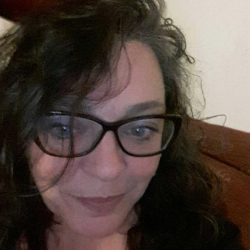 She is a founder member of GAIT (Gypsy and Irish Travellers association South East England) and previously worked as a volunteer caseworker and advocate. Her current role at FFT is as a health Projects Manager – a position partially funded by Brighton and Hove clinical commissioning Group. 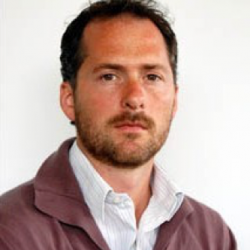 Dr Merlin Willcox is a General Practitioner and Academic Clinical Lecturer at the University of Southampton, with interests in the care of vulnerable people, global health, and traditional medicine. His D.Phil was on a confidential enquiry into child deaths in Uganda and Mali. He has been involved in the Uganda Sexual Health And Pastoral Education (USHAPE) project, which is a health partnership between the Royal College of GPs and Bwindi Community Hospital in Uganda, focussing on the improvement of family planning training for health workers. 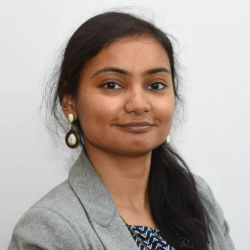 Shilpi Srivastava is a Postdoctoral Researcher at IDS. She completed her PhD in Development Studies (Sussex) in 2015. Her doctoral research focused on the politics and practice of water regulation reform in India. Shilpi’s current research focuses on interlinkages between Uncertainty, Climate Change and Transformation in India. Additionally, through the DFID-funded mNutrition project, she is working on qualitative impact evaluation methods to analyse the potential of leveraging mobile phone technology to improve nutritional outcomes in Africa. 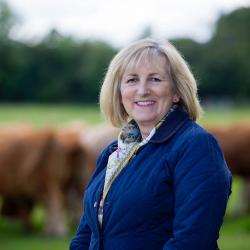 Sue Dibb is the coordinator at Eating Better Alliance, a consortium working together to help people move towards eating less meat and more food that’s better for them and the planet. Notably previous to this role, Sue had been the director of the Food Ethics Council, the Head of Sustainable development consumption and production at the government advisory board; and for seven years the Senior Policy Advisor at the National Consumer Council and Co-Director of the Food Commission. 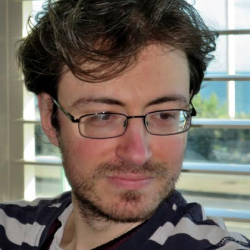 George Faulkner is the author of ‘In the Expectation of Recovery’, a report from the Centre for Welfare Reform which examines the role of misleading medical research in shaping the UK government’s policies on disability. As a key example he used the PACE trial, the first piece of medical research to receive funding from the Department of Work and Pensions. PACE has been attracting ever greater international attention. 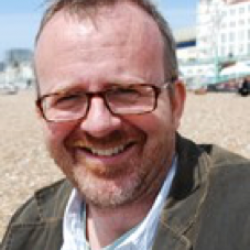 David McCoy is a senior clinical lecturer and the global health teaching director at Queen Mary University London and director of the global health and social justice charity, Medact. During a decade of public health work in South Africa, he worked as a policy research fellow at the Child Health Unit of the University of Cape Town. He was the founding managing editor of Global Health Watch, member of the Board of Trustees of the New Economic Foundation and the Steering Committee of the Peoples Health Movement. 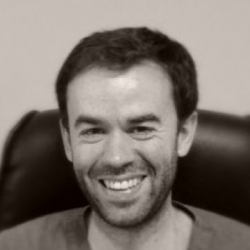 Ed Fitzgerald qualified in medicine from Magdalen College, University of Oxford, and has over 12 years experience of medical practice and clinical research in the NHS and international health systems. He serves as the Honorary Clinical Advisor to the Lifebox Foundation, a global health NGO working to make surgery safer in low-resource settings. 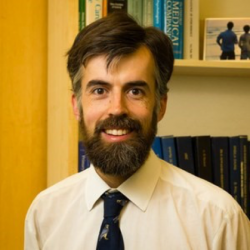 He has held a number of national leadership roles, and received several high-profile awards, including the Royal Society of Medicine’s Tanner Medal. 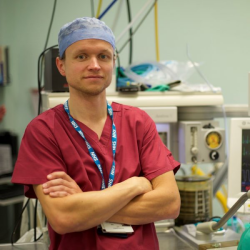 Nick is an anaesthetist at Great Ormond Street Hospital. He has interests in medical education, global health and patient safety. He helps organise training courses for anaesthesia in low income countries and as research fellow for a Gates Foundation funded project, worked to develop a child pulse oximetry probe for low resource settings. Towards the end of his training, he spent time working as an anaesthetist and implementing the WHO surgical safety checklist in low resource environments.